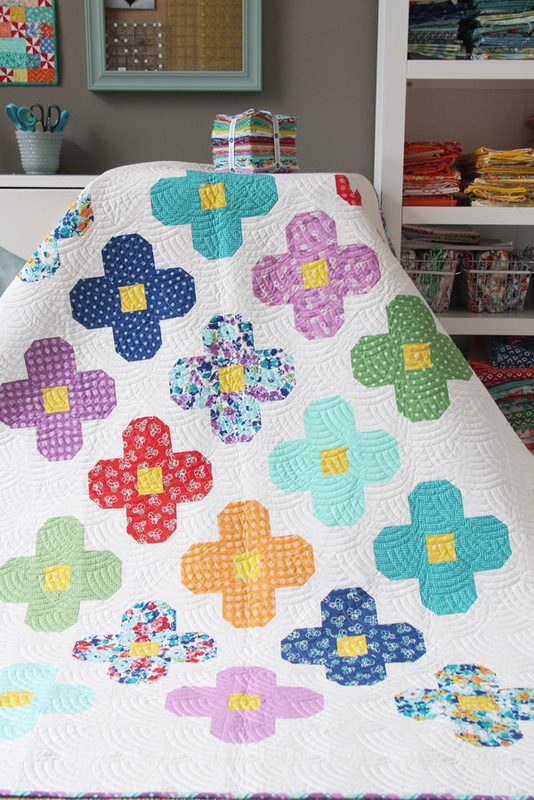 This Bloom quilt has been on my mind for a year and I’m so happy with how it turned out in Hello Jane fabrics! It matches our beautiful Spring weather outside. 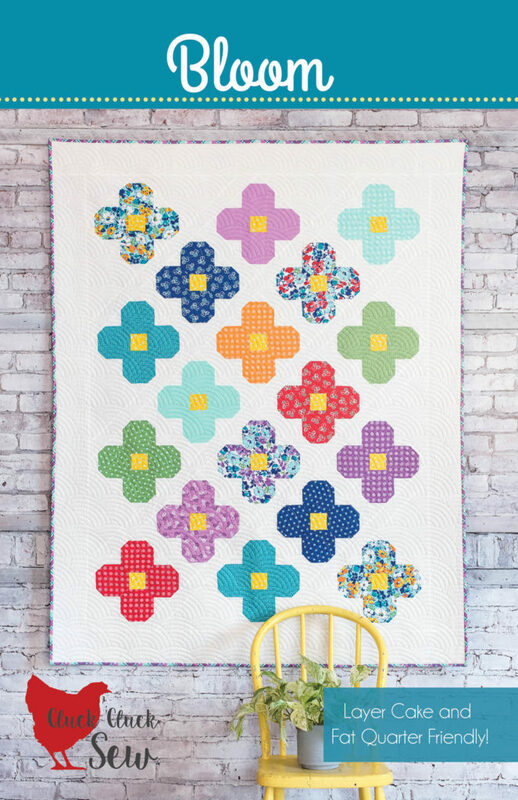 This pattern can use a layer cake (or 18 precut 10″ squares) or fat quarters. 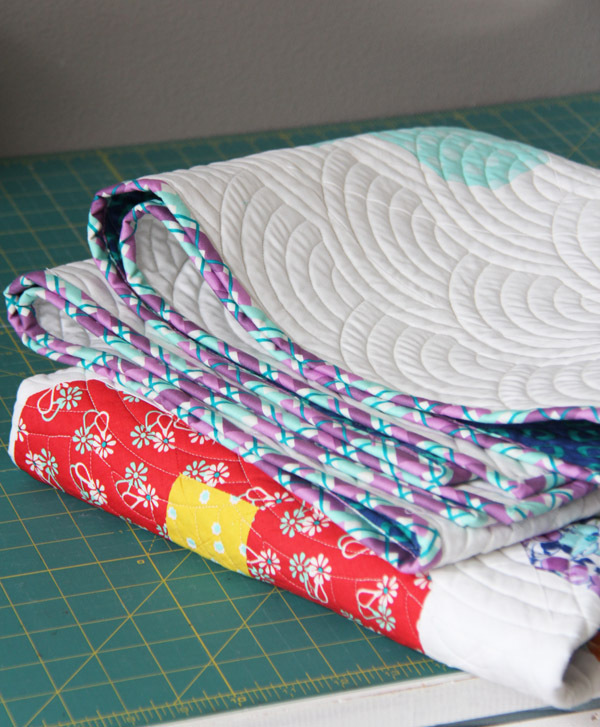 I’d say it’s a beginner friendly pattern if you have a few quilts under your belt and have some piecing experience. This quilt is set on point (blocks are sewn together on the diagonal) and if you’re new to on-point construction this is a good quilt to start with. It measures 53″ x 68″. Kaitlyn quilted this one for me with this Baptist fan design. 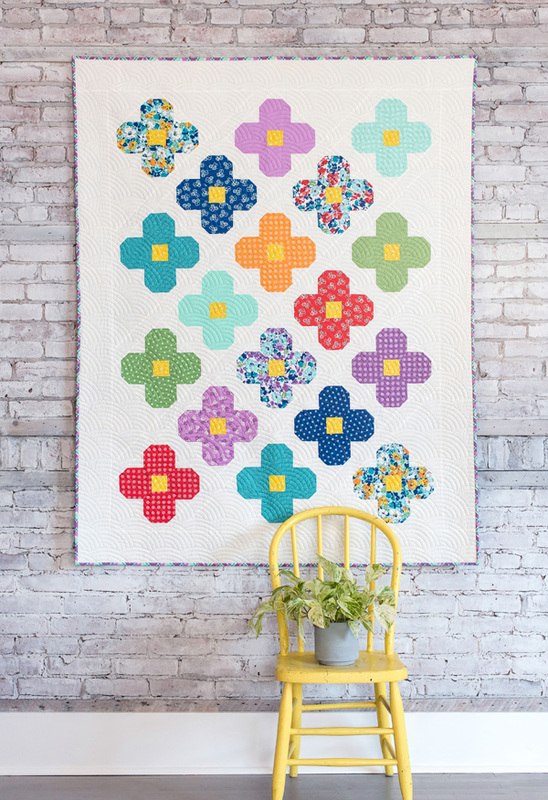 Bloom is in my shop as a PDF or paper pattern. I hope you are having some pretty Spring weather wherever you live today! Just adorable! I can’t wait to make this cutie! My flower garden isn’t looking so good, so these may be the only flowers I “grow” for a while! HA! 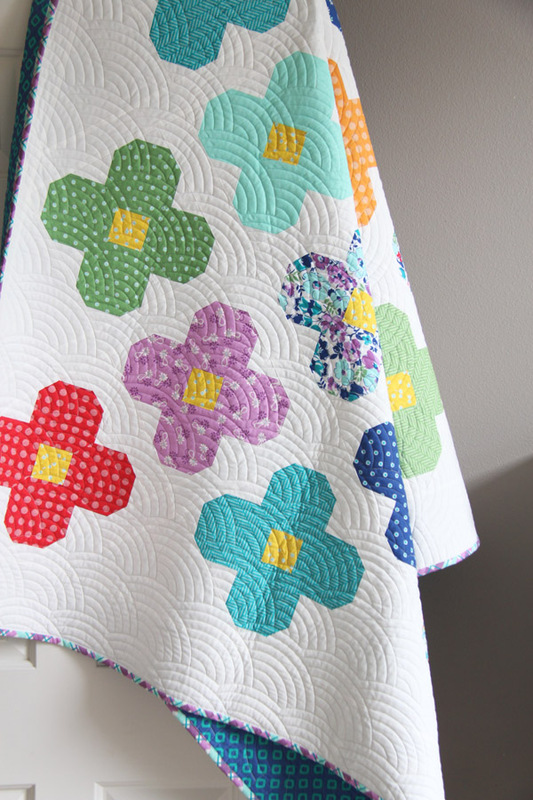 I love your cheery Bloom quilt, and the quilting is gorgeous! So darn cute! 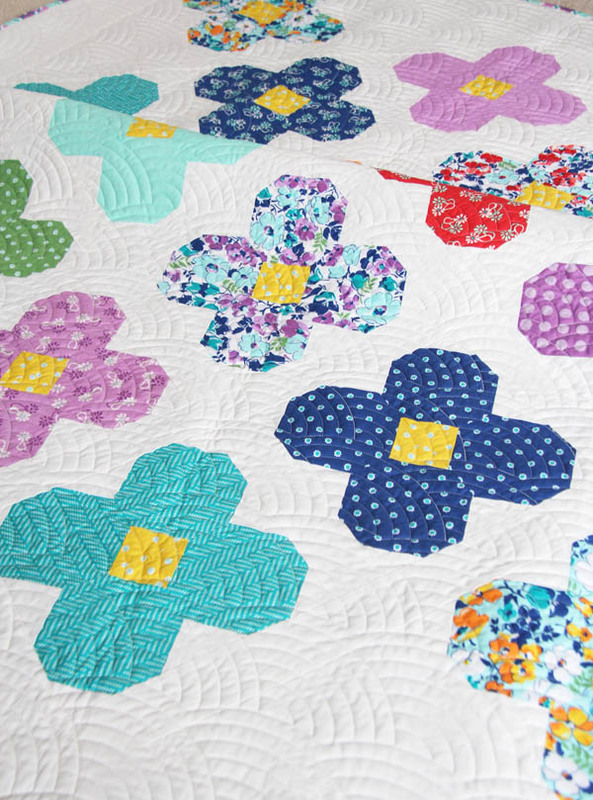 Happy Birthday to Miss Jane, too….. Oh, how I love Baptist Fan quilting – I just might have to send one to her. It’s beautiful…. I really like this one! Congrats on another great pattern!